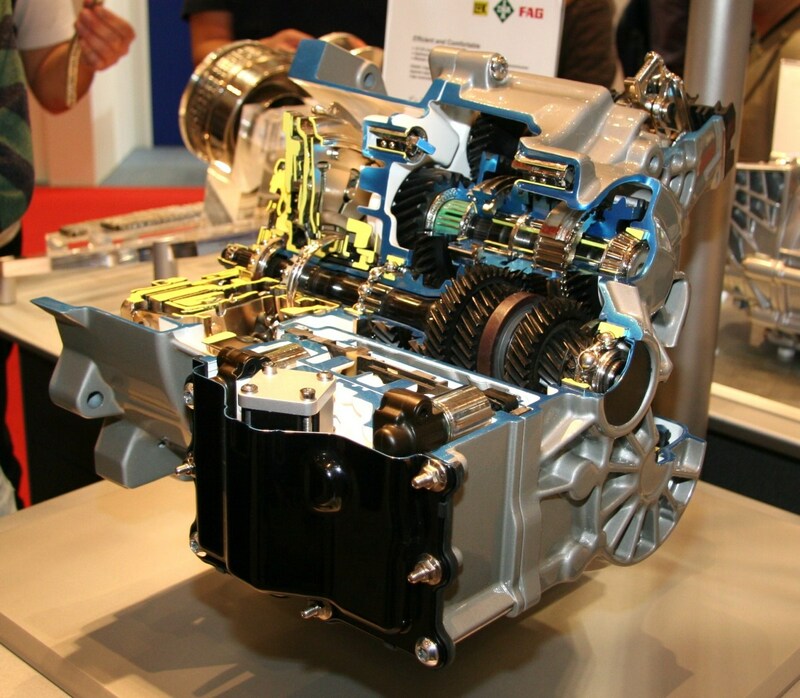 The 7-speed DSG automatic transmission—or DQ200—is a transmission that is growing rapidly in popularity. A transverse dual clutch transmission, it was brought in to supercede the 6-speed “DQ250” DSG unit, and is finding itself in more and more vehicles. And with that growing popularity comes a growing number of people who may fall victim to some of the faults that can occur with this transmission. Fortunately, there isn’t actually a huge list of faults with the DQ200. Unfortunately, the faults we have seen so far can be quite pricey to repair. But before we get into that, let’s briefly go over the differences between this transmission and its 6-speed predecessor. What's New in the 7-Speed DSG? The previous 6-speed direct shift gearbox (DSG)—the DQ250—was a single chamber affair, meaning that all the components within the gearbox shared the same fluid. This had the disadvantage that contamination from any component within the transmission could impact any other component within the transmission. Considering that one such component was a dual clutch assembly which, by its very nature, wears down and releases small amounts of debris, this isn’t exactly the best set up. The DQ200 made a lot of changes that brought about better efficiency and weight-savings over earlier models. But the two most significant changes were separating the hydraulic system from the rest of the transmission, and moving to a dry dual clutch assembly. 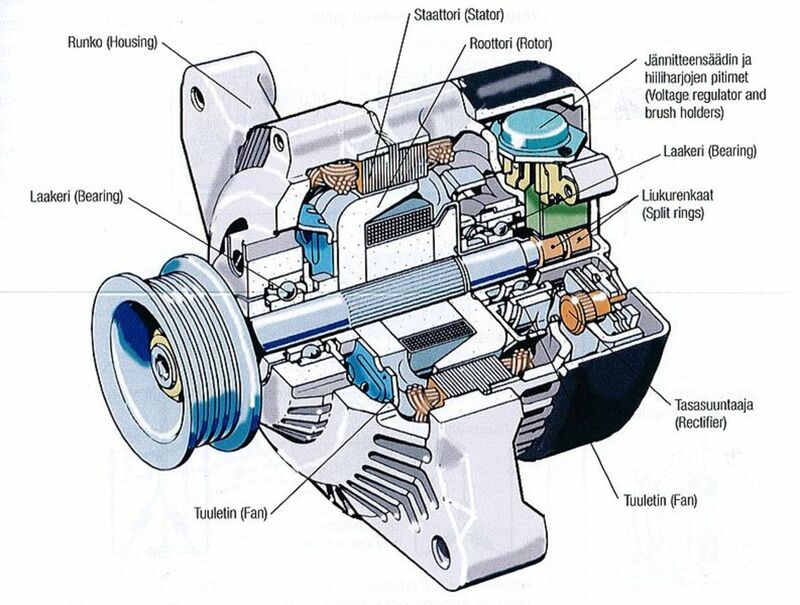 In moving the hydraulic system—the valves and solenoids and other delicate mechanical components that is the control centre of the gearbox—into its own enclosed system, the transmission has a greatly reduced chance of suffering a fault as a result of oil contamination clogging up vital components, since the only contamination that can get into that chamber would come from the components within. Simultaneously, moving to a dry clutch assembly removed the biggest source of the aforementioned contamination from the transmission fluid altogether. It also made it so you no longer have to open up any of the transmission in order to change replace the clutch assembly. Although, as we’ll touch on shortly, it’s not necessarily any easier to change the clutch assembly. So, let’s get into those common faults. 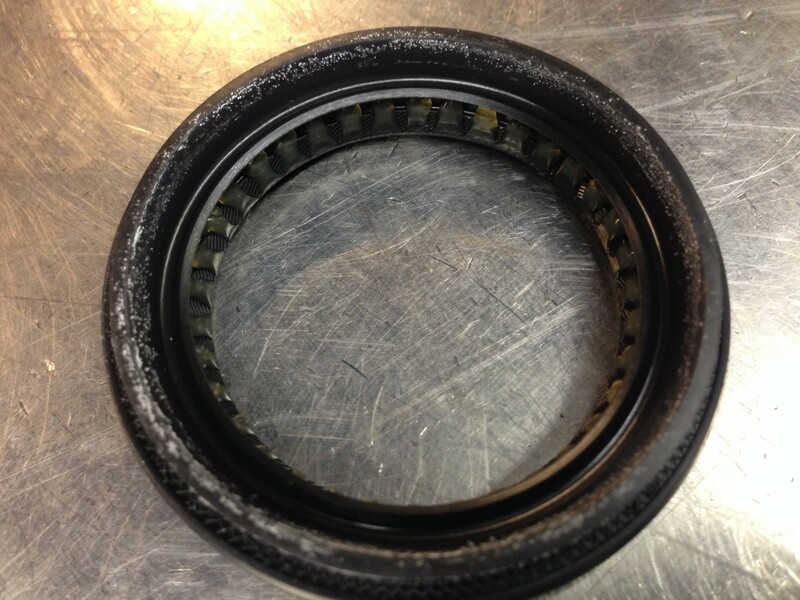 An unavoidable aspect of any clutch system is that it will wear down over time. It is designed with this in mind, as the whole purpose of the clutch is to “slip” in order to provide a smooth transition between gear ratios. The new dry clutch assembly in the DSG DQ200 is much more akin to a regular manual transmission clutch than the previous DQ250 wet clutch. The control module for the transmission will attempt to adapt and compensate for clutch wear over time, however it will eventually reach a point where the clutch is simply too worn to function properly. When this happens, the most common symptoms one may experience are slipping in gears and “failsafe” mode. Slipping will often manifest as the the engine revving higher than it should. In extreme cases, it may not be possible drive at all. Failsafe mode—also known as “default” and “limp” mode—will limit the transmission to a single gear only (often third gear), as well as give some kind of indication on the dashboard. This indicator can come in different forms depending on the vehicle, such as a flashing “PRNDS” display, displaying “Transmission Failsafe”. The way the dual clutch system works means that one clutch is responsible for odd-numbered gears, the other for even-numbered. 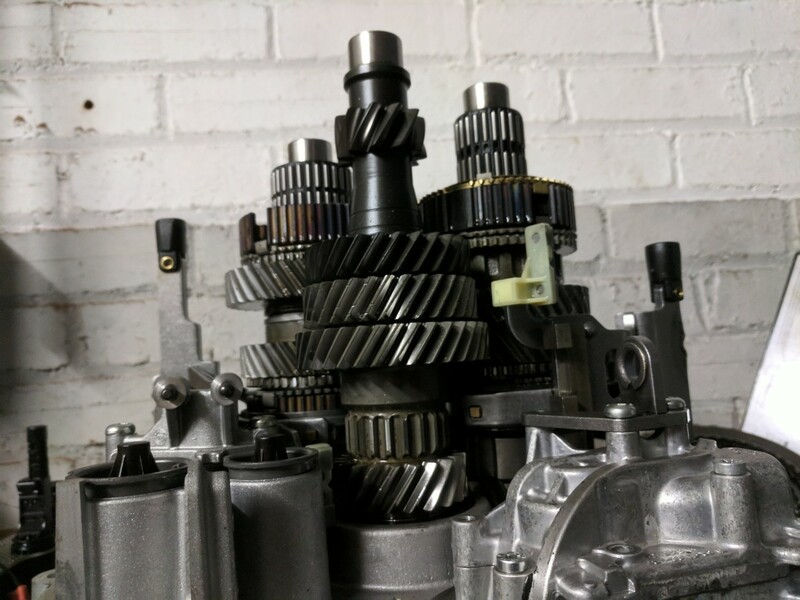 For this reason, having issues in all the odd or even numbered gears (as opposed to specific gears) is a big indicator that you have a clutch problem. 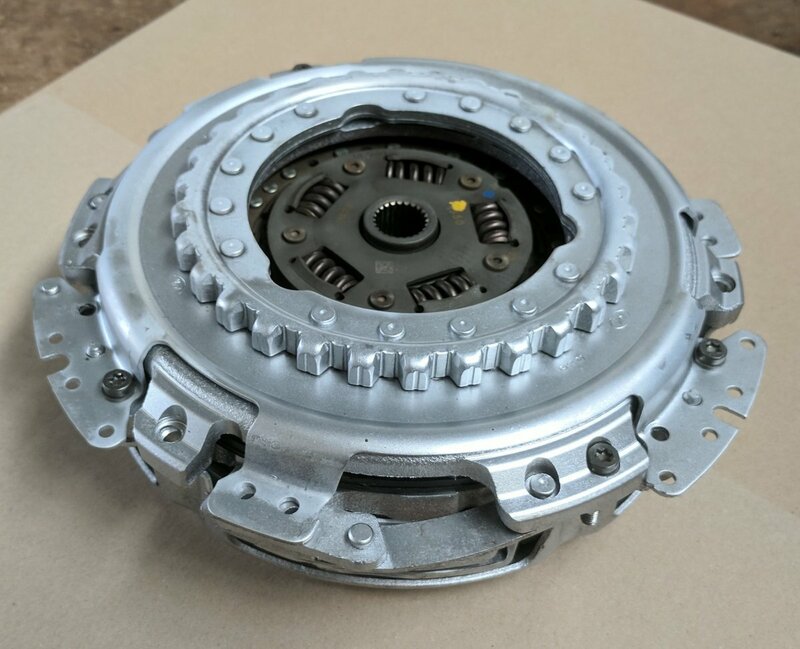 The dual clutch assembly in a DQ200 7 speed DSG looks much more like a regular manual clutch than in previous versions of the DSG, but is not as simple to fit! It’s important to note that, though the DQ200 dual clutch assembly may look a lot like a manual clutch, changing one is not as simple a process. 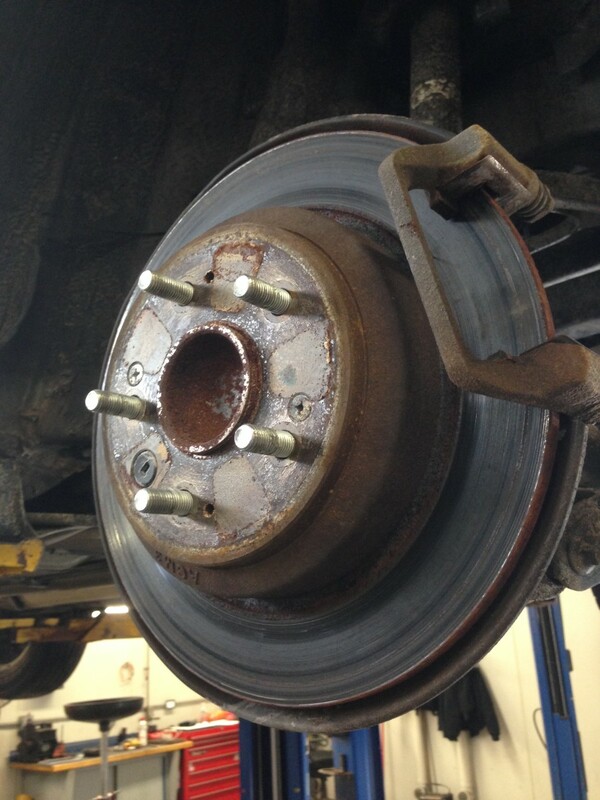 It requires special tools and a certain procedure that, if done incorrectly, will damage the new clutch, and can even damage the transmission itself. Due to the expense of the clutch assembly and the technicalities of fitting it, some manufacturers will only sell these clutches to fitters that have passed a course and are qualified to fit them. This is the separate hydraulic system mentioned above. 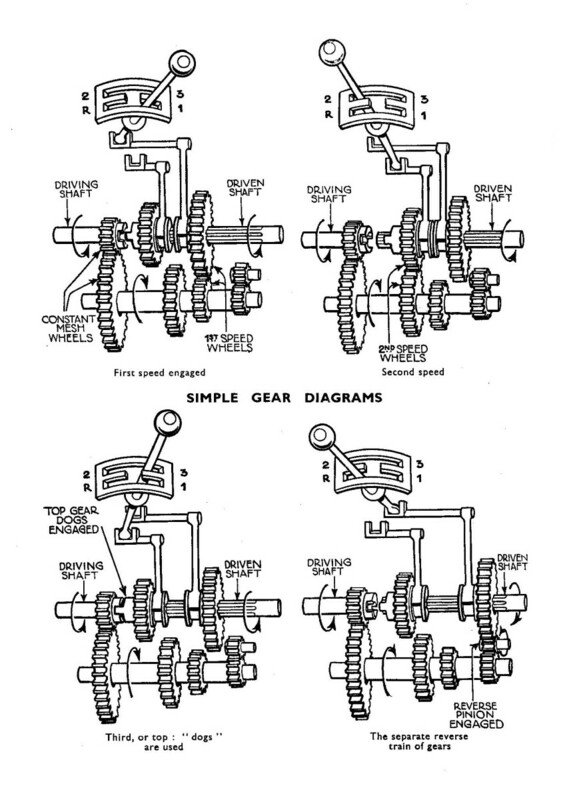 It contains all the mechanics necessary for controlling the shift forks that engage the gears themselves, as well as the computer does all the “thinking” for the gearbox. 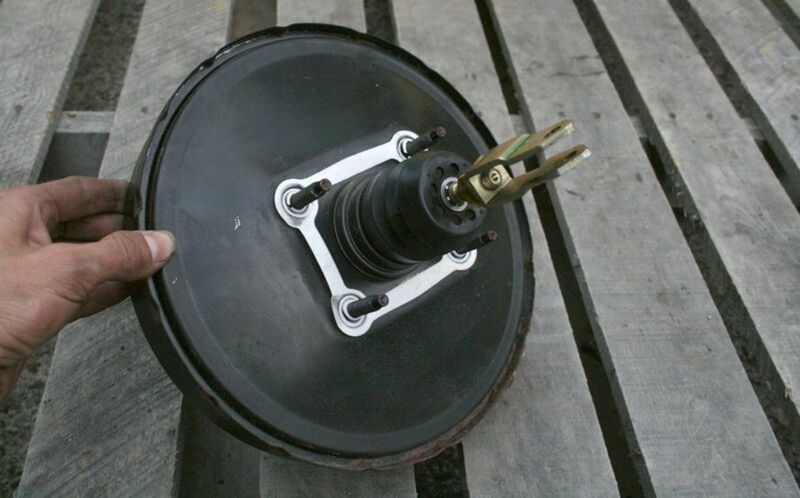 It is located on the side of the transmission—which is towards the front of the vehicle when fitted—and is a self-contained unit, meaning it can be removed entirely and replaced without having to dismantle any part of it. The mechatronic can be replaced within the module itself, however this is an involved task and requires manufacturer-specific diagnostic capabilities. If the electronic component fails, unfortunately, it can manifest in a number of ways as it is responsible for all the actions that take place in the transmission during use. Failsafe will be the most likely outward symptom, but some diagnostic hardware will be required to get any more information as to why. An easier to diagnose fault is a relatively common problem with the pump inside of the hydraulic control unit. This fault will often result in little or no drive, failsafe mode, and quite often the unit will spit hydraulic fluid out of the breather on top. This fluid is distinctive from regular transmission fluid due to the fact that it is green. The main fault code associated with this problem references “Pump Play Protection”. Fortunately, this problem can be repaired by a specialist, or the entire unit can be replaced entirely. It would need to be the whole unit, however, as the fault involves more than just the electronic component. As with the clutch assembly, this is not a task to undertake without the right tools and expertise. 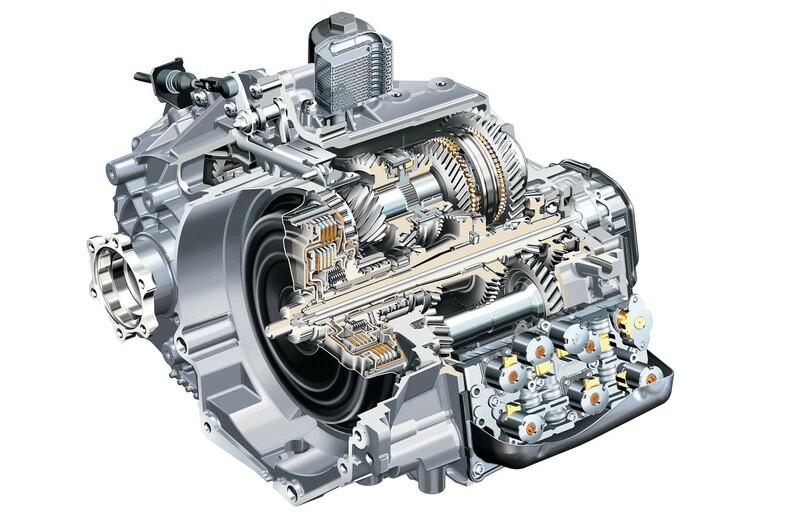 The transmission needs to put into a specific configuration before removing the unit, and the unit itself needs to be in that same configuration before being fitted back onto the transmission. Failure to do so can result in breaking the unit, or the transmission simply not working. The transmission can be set to the correct configuration for removal of the control module using diagnostic tools, however if such tools are not available, it can also be done manually. Be warned, however, it is impossible to see if everything is lined up correctly once the unit is lifted into place. In short, make very sure everything is set correctly before fitting, because you won’t be able to verify if you’ve done it right until you try and drive the vehicle and find you’re missing gears. And that’s it. There really aren’t that many common faults for the 7 speed DQ200 DSG transmission, and one of those faults is a simple and unavoidable matter of wear and tear. All in all, that’s not bad for an automatic transmission. Im having problems with my 2013 jetta hybrid, the car wont move at all. The dealer said the trans is shoot. Cant believe it. They gave me the codes which i cant find anywhere. They also told me two sensors were bad which another dealer said this trans doesn't have. I have problem with my VW GOLF VI 1.6 DSg7. When change 3rd gear it makes some noises, I have change the clutch and the same problem. Do you have any suggestions because this car is used as a small rental car in Albania https://www.rentpoint.al and I have complains from my clients. I'm not a mechanic, but I was shown one of the gear selection arms experienced mechanical fatigue & breakage...main gear likely to be affected is reverse (to the point that reverse can't be selected)...it may be your issue?. 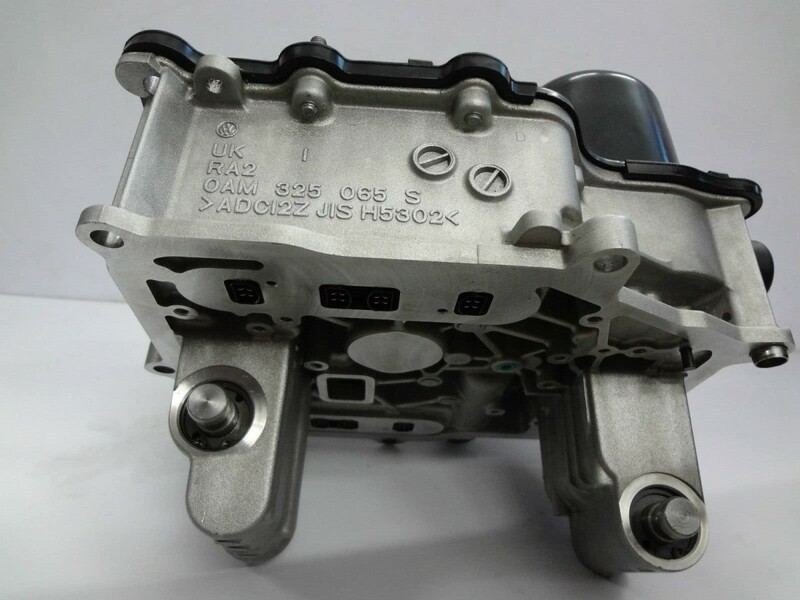 There is an upgrade part available to VW dealers that is stronger, but apparently hard to source outside their network as it is doesn't have a part number. I have a problem with my gearbox fitted on a VW Polo 2013 gti. Dry clutch 7 speed. When the lever is on Park and on Reverse, there is a "clunking" sound coming from the gearbox on the engine bay. This does not happen on any other gears but P and R. We recently opened up the transmission to check if the clutch or the flywheel might be failing, there looks to be nothing wrong with these components. Every morning after cold start as soon as i start driving i hear rattling/ cluttering noise looks like inside gearbox. The more I push accelerator the more faster rattling sounds, and the noice dissapears shortly on every gear shift and sounds again. It last about 30 seconds of driving than dissapears suddenly and car drives perfectly without any noices or anything all day long. Even if i stop driving and leave my car for a few hours and start it again and drive all good no any noices. It happens only in the morning on cold start. I drive like that already one year about 10000km as this problem appear. I took my car to vw service, left it there for 2 days, but they are useless, they told me that didn't hear any noices and tested it 2 times every morning. Looks like they lie me for some reason. Hello there. I have this experience for a little over 5 years with DQ200 since receiving the car from showroom. I wonder which component I need to look into. Paddle shifting: there will a clattering sound from the engine bay whenever I am "short-shifting" from 3rd gear to 4th during mild acceleration. However, if I paddle shifting at the optimum rpm or high rpm will be smooth and no weird noise at all. In addition, no sign of problem with Auto mode. Hi, I recently replaced a clutch on my Jetta 6 DSG and the gears takes long to change(shifts at high rev) on auto but it works 100% on manual. What could be the cause? Can you use the new clutch on a old flywheel or both clutch and flywheel has to be replaced together?